In 2007, Perdue Pharma admitted to misleading doctors and patients about the risks of their popular painkiller Oxycontin. They paid $634.5 million dollars in a settlement and thought that would be the end of it. Ten years later, over 40,000 people were dead due to opioid related overdoses. Suddenly their profits were contaminated by money seemingly related to thousands of deaths, and the attitude towards the company started to make change. Last month, drug executives from five heads of major drug distribution companies expressed regret for their part in the health emergency now facing America today. This week, Perdue laid off 350 more sales reps in wake of the hundreds of lawsuits they are defending themselves to. In February the company announced they would no longer be promoting their opioids to physicians. Half of their sales employees were affected then, leaving 200 representatives still employed to date. Now with the news of more cities, states and counties filing lawsuits against the company to reclaim losses from the massive amounts of public spending that went to aiding those who became addicted to their drugs. Spending indirectly or directly related to the epidemic, whether through emergency medical services, childcare to guardians of the children with addicted parents, or legal spending for public defenders or jail or prison housing. Perdue will continue to manufacture Oxycontin, They are now planning to shift its focus on pursuing new drugs. 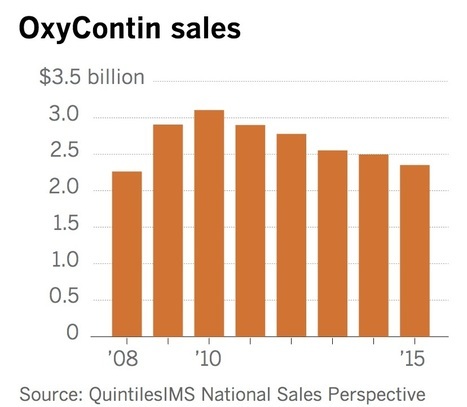 In 2017, Oxycontin sales dropped over $1 billion dollars since 2016, when the highest numbers of opioid related deaths were released on a national level. “Purdue Pharma is taking significant steps to transform and diversify beyond our historic focus of pain medications,” Purdue said in a statement. In their statement, the company touched on how they had reformulated their painkillers in 2012 in an effort to make them with an abuse-deterrent, making it harder for the pills to be crushed and snorted or injected. Some say too little too late, and the increase in deaths from 2006 on into our current dead count could agree. The company ended their statement acknowledging that despite their decision to stop promoting Oxycontin to physicians, they know more is needed to end the opioid crisis. “No one solution will end the crisis, but multiple, overlapping efforts will. We want everyone engaged to know you have a partner in Purdue Pharma. This is our fight, too.” It said in closing. Well buckle up boys, the fight’s just getting started.